I am a fan of Allan at Ohm Sweet Ohm and was talking with him about shooting the Golden Gate Bridge – he works on it every day – with a fisheye lens. I have been meaning to put a post together ever since. If you want to see some amazing photography of the Golden Gate Bridge, or some really creative imagery of everyday objects, check out Allan’s blog. I got a chance to spend the day in San Francisco a couple of years ago – it was the day after my nephew’s wedding and my sister-in-law Karen and I explored the parks with our cameras and our National Parks Passport Books. I took my new fisheye lens along for the trip and experimented with it for the first time. I was getting a feel for how much a really wide-angle can distort things. An eye level shot produces minimal distortion on a long shot. The same shot through the gate – notice the extreme bend of the parallel poles near the camera. A shot directly up from inside Fort Point bends the brick walls of the fort inward. This shot indoors shows how much the perspective can me distorted in an enclosed space – the ceiling is actually vaulted, but not curved. Lowering my view creates both a curved horizon and posts. A waist level shot curves the parking lines and the chains more dramatically than it does the horizon. A shoulder level shot across the bay creates a curved horizon. This macro-close shot causes the curve of the red curb to be exaggerated. A wide-angle lens makes Lombard Street look more compressed and less tall – at this distance there is not a lot of curve distortion. A low angle with a fisheye makes columns curve inward as the move away from you. This shot was taken from a foot outside the entrance to the structure. Even though I probably missed out on the classic tourist shots, it was fun to take a lens out and make myself experiment with it. The more I used it the more I got the feel for bending reality to my will. The lens was pretty economical – it’s a conversion lens – meaning that it is an attachment to a standard kit lens. I have used it more tactically since my time in San Francisco, shooting it when I need to get something wider into a narrow field or when I want a curve to be really curved. This masonry really is almost a full circle – the fisheye lets me show you that because I can get the whole perimeter in the frame. To get this view I would need to be almost underground with a standard lens. My experimentation in San Francisco gave me confidence to know that I could make the spring shot above work. Do you have any fancy lenses or gadgets that you have been waiting to try out? Have you tried something new and added it to your repertoire? 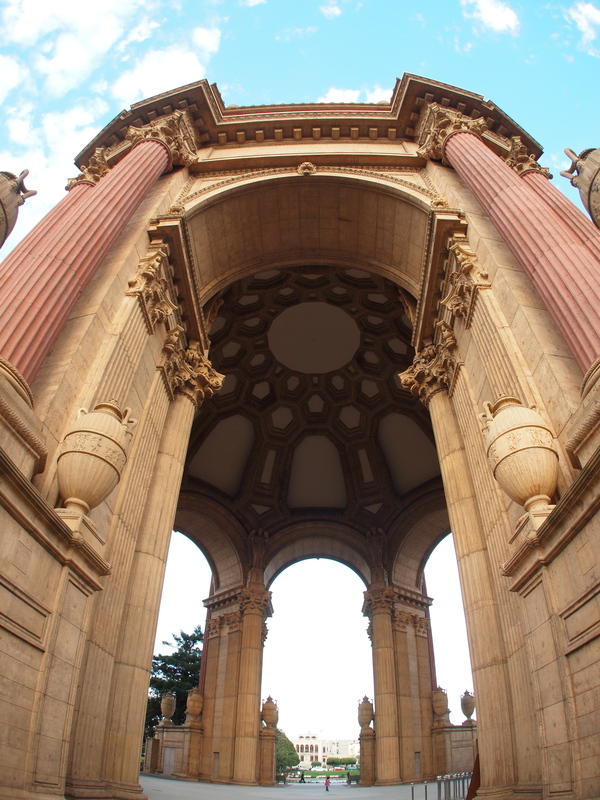 This entry was posted in National Parks, Photography, Travel and tagged fisheye lens, Golden Gate Bridge, Lombard Street, Olympus, Olympus E-M5, Palace of Fine Arts, photography, San Francisco, Wide angle by artsifrtsy. Bookmark the permalink. I really liked your pictures! I’m actually very very close to buying the Rokinon 8mm fisheye, but a lot of people warn me that the fisheye look could get old after a while… any thoughts? Honestly, that’s why I went with a conversion lens – but the Rokinon is pretty reasonable. I don’t carry the fisheye in my everyday kit, but it’s nice to have in the right situation. I use it far more than my wide angle. I was also looking at the 14mm f2.8, but I also think I would use the fisheye more. Thanks for the input! LOL – I know, I grew up in Vegas, kinda despising tourists – but it is pretty fun to be one. 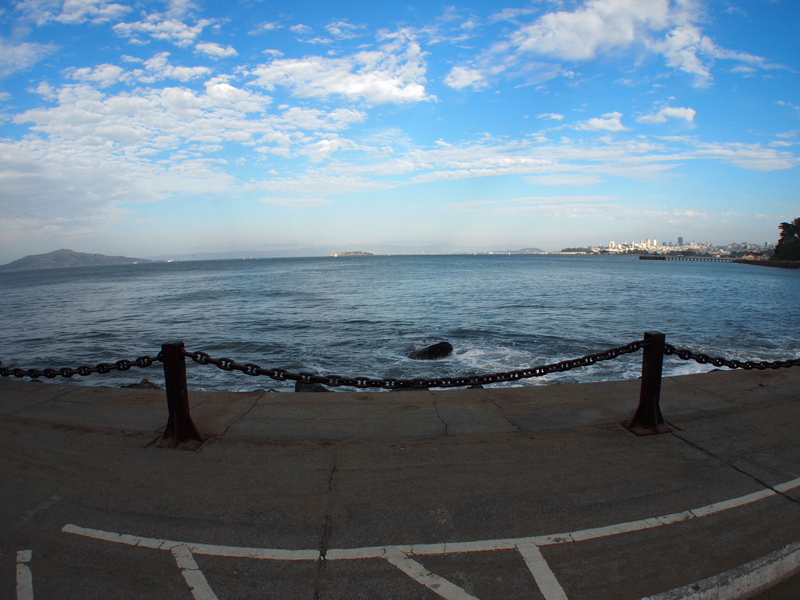 I did shoot about thousand seagulls and images of Alcatraz in the distance, nothing interesting. Allan is a real creative and he had shots from the most amazing vantage points on the bridge. His blog is AMAZING, loved it, thanks for the heads up! I’m glad you checked it out – Allan is really talented. Some of your best work ever! I love that second shot! Thanks Hook – I loved playing with the lines of that fence. I am not really confident when it comes to landscape, I think the fisheye gives me a point of view – I enjoy it. Not confident? Your work says otherwise. Well – I have a lot of boring landscapes here 🙂 I think the thing that eludes me is where to direct the eye – that’s easy on short shots or tight shots. Thanks for the kind words. My sister and brother in law live in San Francisco and I was very cool seeing the city from such a unique perspective. Thanks – I can’t wait to go back! Thanks for the recommendation on Ohm Sweet Ohm, it’s a great blog! Nice shots from your visit to SF. 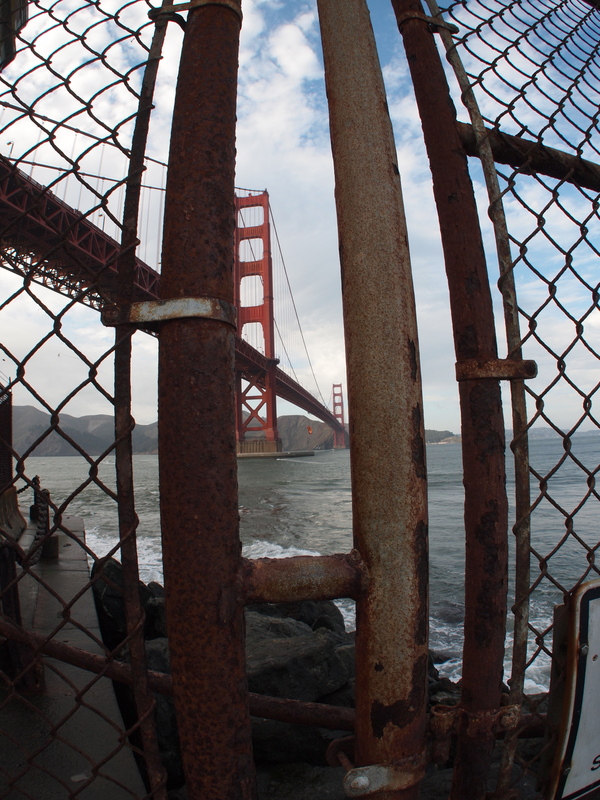 Some of my favorite photography memories are from roving with shutterbug friends in SF. I haven’t gotten a new lens for a pretty long time so reading this got me excited about maybe trying a fisheye (either that or a tilt shift lens). A fisheye would be a lot of fun to experiment with. Before I got a full frame camera, I used to spend hours exploring with my 10-20 superwide and I never minded the distortion at all in that lens, beauty is in the eye of the beholder and I liked how the wideness rendered different scenes. Distortion could be used to amazing effect (as you’ve shown). At any rate, love the discussion in your comments here. Allan really does have a great blog and if you love the Bay area he has a unique perspective on it. I have a tilt shift set up and I’m still learning how to use it – it’s really interesting when you can shoot from up high. It’s a lot of work and trial and error – I need to do a post on it soon. I have some shots with a lot of bend that were less interesting than those I posted, I do love shooting a long landscape from a high vantage point with that fisheye though – the curved horizon can be very interesting, especially at sunrise or sunset. Such neat shots of San Fransisco! And my well, too of course. Well, yes, but forgive me if I don’t go there too often! It took me a while to realise that the Lombard Street one is a curved (zig-zag?) road, to my eye it looks like a whole load of cars embedded in flowers! 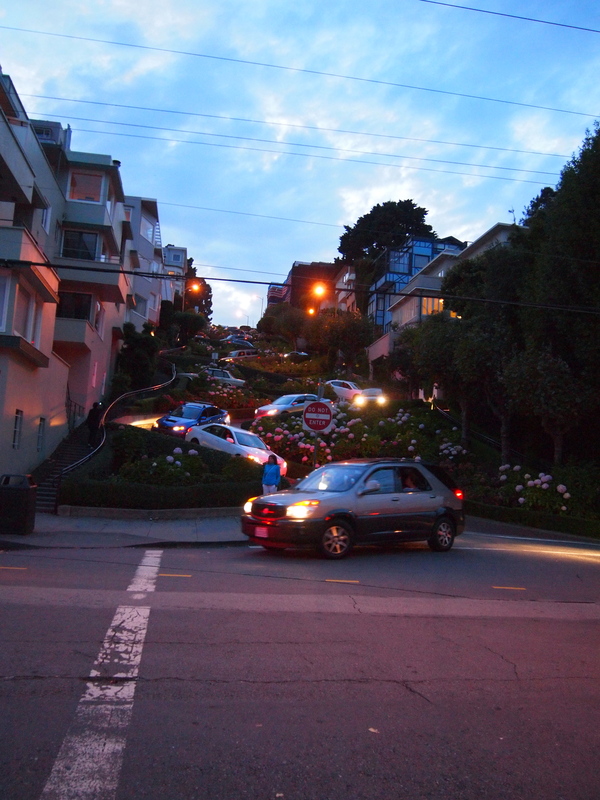 Thanks – Lombard is the curviest street I’ve ever seen – and it has gardens right up to the road. There are driveways on the street and I wonder how anyone ever gets out of them. Tourists line up to drive on it all day. 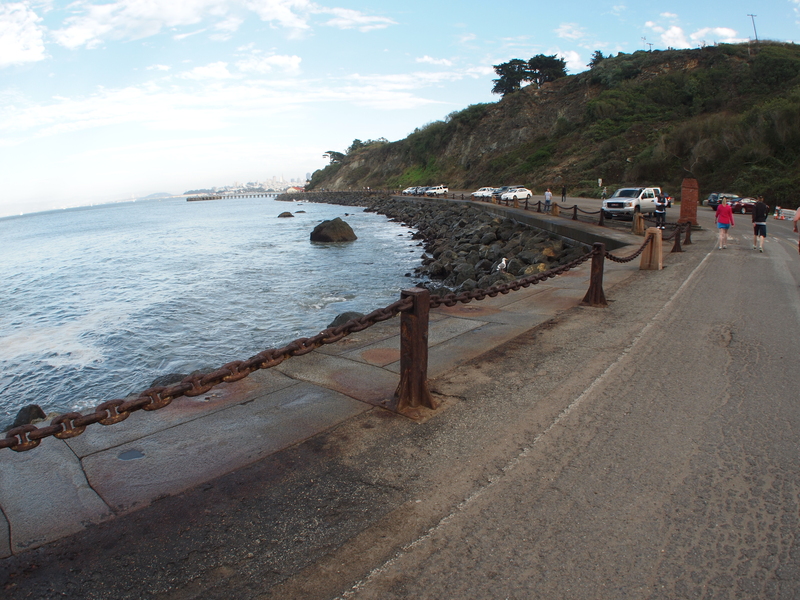 Great photos and info on fish-eye lenses and the GGB. 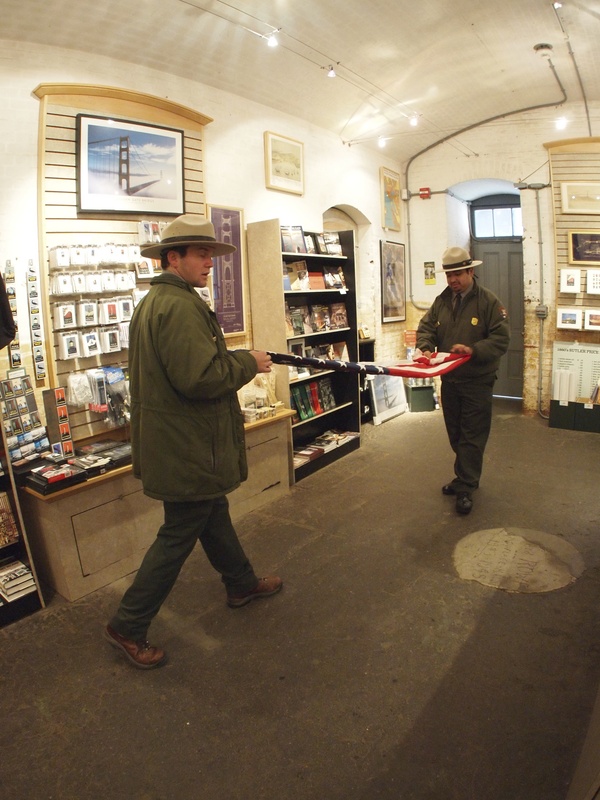 If you liked Ft. Point, you will love touring Alcatraz Island. Thank you for the nod to my blog. Thanks Allan. We should have made reservations to go to Alcatraz – they were completely booked. It’s a good reason to go back 🙂 Gorgeous city. I truly enjoy your blog, I hope people go check it out. Great shots and such an interesting perspective seen through the different lens. Love the city of San Fran. Thanks, I loved visiting SFO – cant wait to go back. These are very interesting photos and I can see why you would want to experiment with it… one can produce some very interesting photo perspectives with such an attachment… I love the shot from inside fort point looking up at the structure… I’m almost half assuming one gets a little more into a photo than just a normal wide angle lens,?? That’s exactly right Bulldog. You can get a fisheye with a 180 degree view. Mine is more like 130. The glass is very curved. My wide angle is about 18mm wide open. This is closer to 9 or 10. The curves can be much more distorted than this, but I was still wanting to have images that showed the magnitude of the places without going to far. I knew I wouldn’t have to go too far before finding rust. Loved the chain. 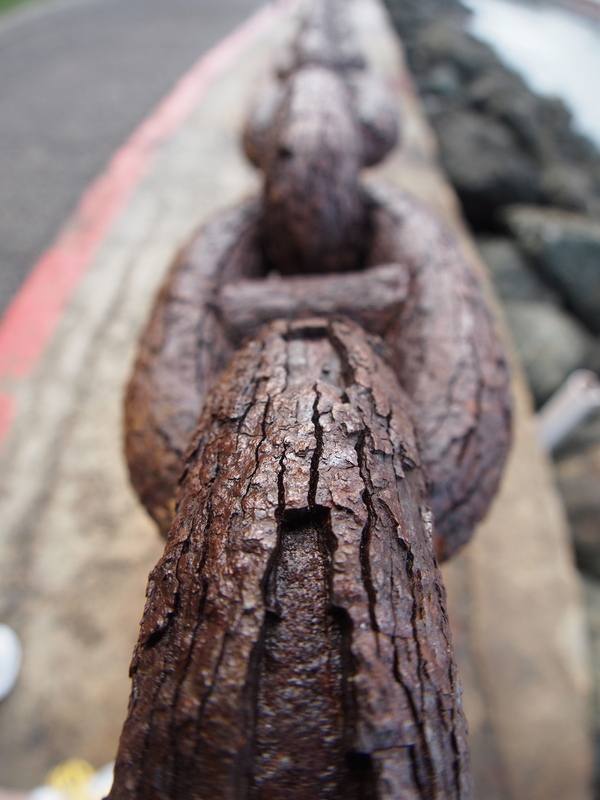 I was intrigued by that rusty chain, I bet I took 50 shots of it. 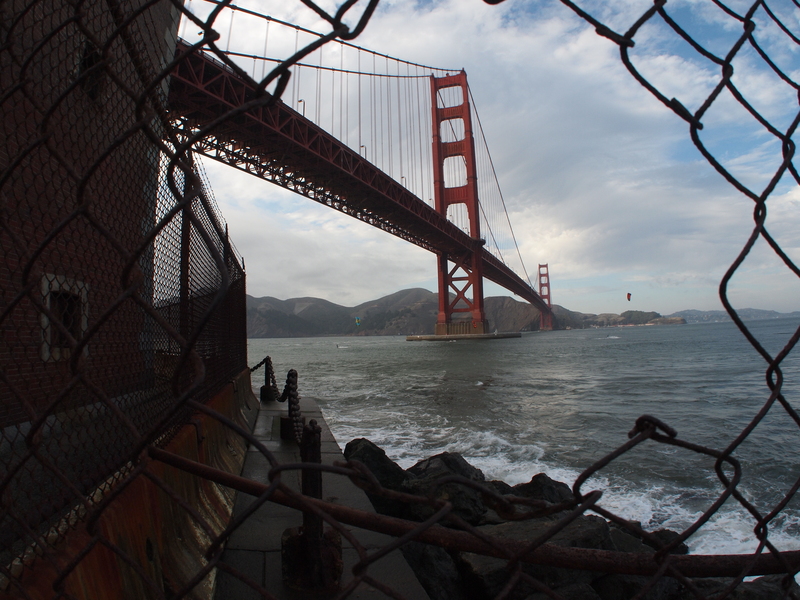 I’m not a photographer but I grew up not far from San Francisco and have always loved visiting the city. It really is picturesque, and your photos are wonderful! Thank you – it’s a gorgeous city. Thanks for stopping by and commenting! That transferring of the film to the developer was a tricky business! I don’t miss it a bit 🙂 I do miss some things about film, but that’s not one of them. Thanks for visiting and commenting. Yes – it’s hard to tell in the shot but that hole in the fence is bowed outward. What I I have is a heavy ground glass adapter that attaches to the bayonet of the kit lens. My kit lens is a 14-45mm (I shoot mirrorless so that number is half the number on a standard DSLR) These shots were almost all taken at 14-15mm with the fisheye – this would make them equal to about a 4mm shot. The Lombard Street shot was taken at 20mm – it is not nearly as bowed as the others. I have a wide angle but it cannot bend lines like the fisheye adapter. What do you shoot again? My noggin didn’t retain that 🙂 I might be able to translate. I find it easier to remember stuff I do, I have been playing with a film camera and find myself having to ponder out the film speed and how that affects the other settings. I have a Nikon D3100. (reg lens and a zoom to 300) I bought an attachment for the regular lens that supposedly can be used as a macro….but I have been unsuccessful with it so far. I don’t want to graduate to another camera until I know what to do with this one! Keep doing what you are doing, cause it’s amazing! That’s a great camera. I have never seen a macro attachment that was anywhere close to the quality of a macro lens. I know Nikon makes a couple of conversion lenses, but I have never used them. I shoot a D90 at work. We bought a Tamron Macro – pretty reasonable and really sharp. There are so many options for Nikons. If you outgrow the 3100 you can keep the lenses for a Nikon upgrade. In the long run camera bodies are a lot cheaper than lenses. What lenses do you have? You are right on those lens costs. I was in shock. I had always had “just a camera”. (point and shoot) Hubby gave me this one as a surprise and I asked him why it had a hole in it and where was the rest of it. Oh yes. I did. 😉 I have the 18-55 and the 55-300 lenses right now. That’s good – you have distance covered. 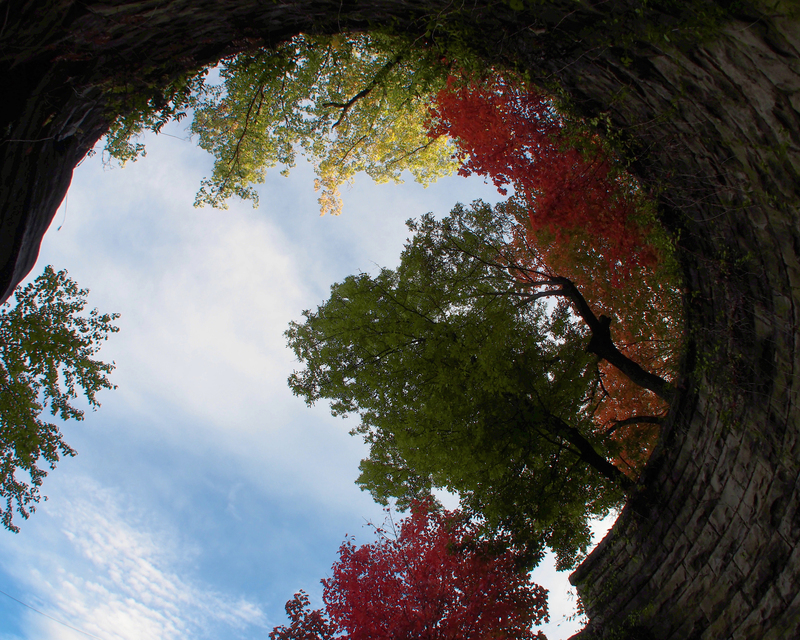 I find that I almost never use the kit lens unless I use the fisheye. I have a macro and a portrait lens – both primes (no zoom) they both are fast, larger apertures, so they are good in low light. It all depends on what you want to shoot. There is a company called Borrow Lenses that lets you rent lenses for a day or a week or a month – I have thought about trying before buying. I’ve heard you mention your portrait several times. I’m guessing that would be a top choice? I will have to look into that. Try before you buy might be a good thing. Thanks so much, Lorri! Love talking to an expert! LOL – for a portrait lens on your Nikon you need a 50mm with a very low aperture number 1.8 or 1.4 – the lower the number, the smoother the blur in the background, the better it works in low light. Those lenses are the ones that let you get the round sparkles in the background. It’s a super useful lens, plus it makes you frame things because it has no zoom. It’s one of my favorite lenses. Awesome. Thank you so much for lens school!!! I truly appreciate it and YOU! 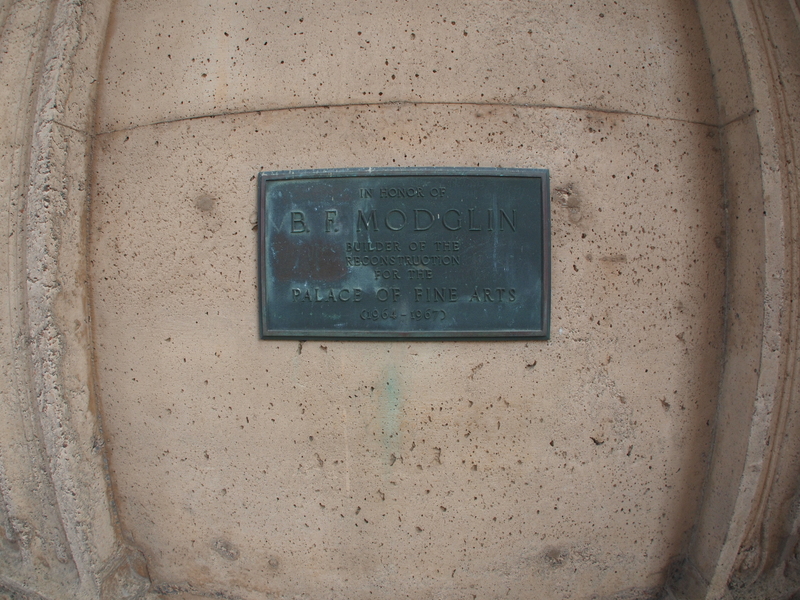 I too love Allan’s blog and I so want to go there and see this amazing bridge in person. Maybe someday. These are exceptional shots, Lorri. My loyal follower has asked me multiple times about that fisheye lens. This post reminded me to ask, do you have a recommendation for my D90? Thanks Honie – that bridge is stunning. A piece of art. Great pictures. Visiting San Fran is on my bucket list. I read somewhere that it’s the most visited city in the world! It’s a great city, so many things to see. 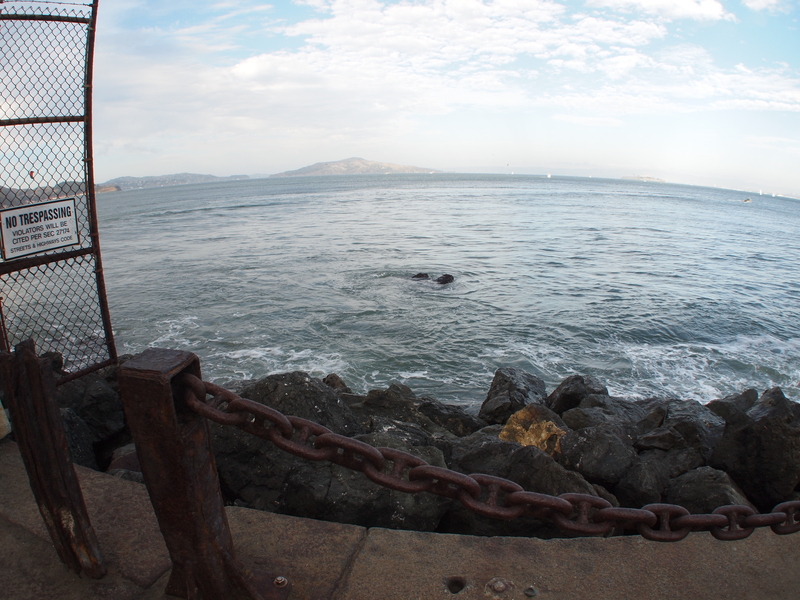 I didn’t get to go to Alcatraz – next time. Alcatraz would make an awesome photo shoot in black and white, don’t you think??!! I do think so – all those lines and shapes and shadows. What an interesting post. I’ve never thought much about a fisheye lens, except to put it on the too hard list. I have enough trouble using a normal lens. Thanks for sharing so many great examples – this was really helpful (to me). Thanks Vicki – I love playing with it – I have a nice wide angle, but I just don’t use it very much. I’ve been thinking of trading it in on a new zoom. They key to the fisheye is height and closeness – the lower and closer the more things curve. Thanks Mrs. Fringe – that chain shot is one of my favorite shots of that whole trip, but then again I have a thing for rust. 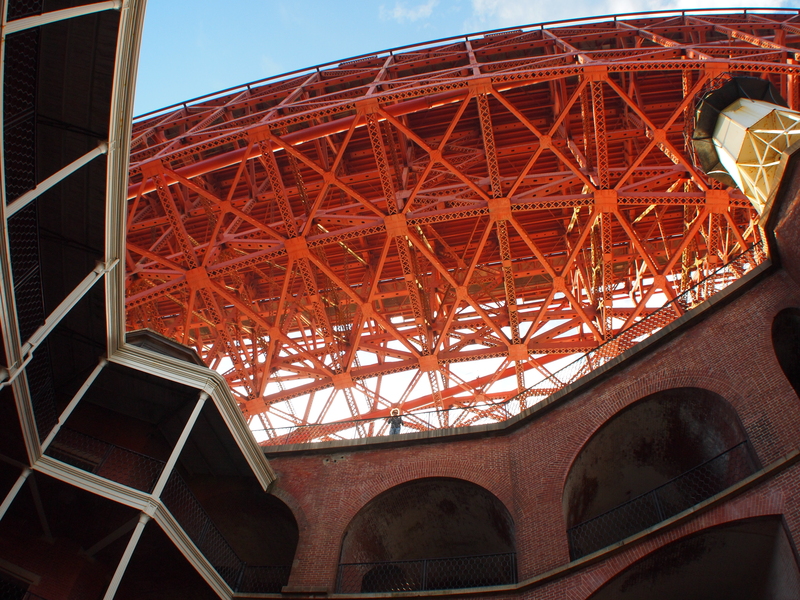 That orange grid is the bottom side of the Golden Gate Bridge – I love the color of the bridge. Loving your captures – always fun to play around when it comes to photography:) Have a Great Day! Thanks Craves – you have a great day too! Thanks – I find them fun in the right circumstances – the shots I took of my dog when I first got it – not so much 🙂 I like it for long landscapes and architecture. Love these shots of my fav. city by the bay !! It’s such a great city, I need to go back and spend more than a day. Thanks – it is a gorgeous city, isn’t it?